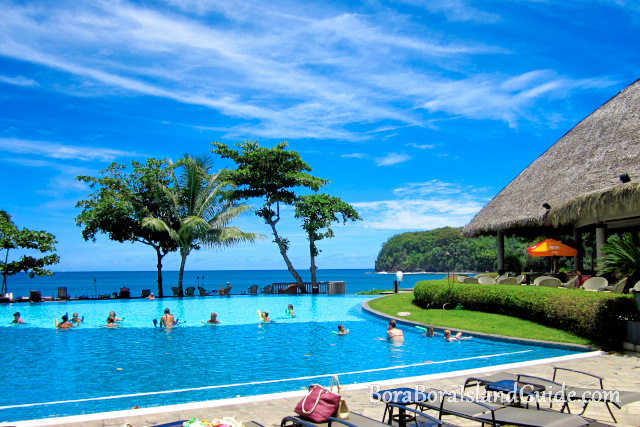 If you are flying to Tahiti and wanting somewhere to stay on the main island, here are your options of Tahiti resorts. The following resorts are the nicest places to stay on the island of Tahiti. There are also budget options in simple small hotels and guest houses. If you are wanting to stay close to the Papeete Faa airport, have a look at the Tahiti airport hotels. The Tahiti resorts are set along the coast, away from the downtown area of Papeete. We find it useful to hire a car when stopping in Tahiti, but taxis are available. A hire car lets you get from resort, to downtown, to the sites to see and even to the amazing Carrefour supermarket. There are only two Tahiti resorts with over water bungalows. But keep in mind that the lagoon here is not like the ones in Bora Bora and Moorea. 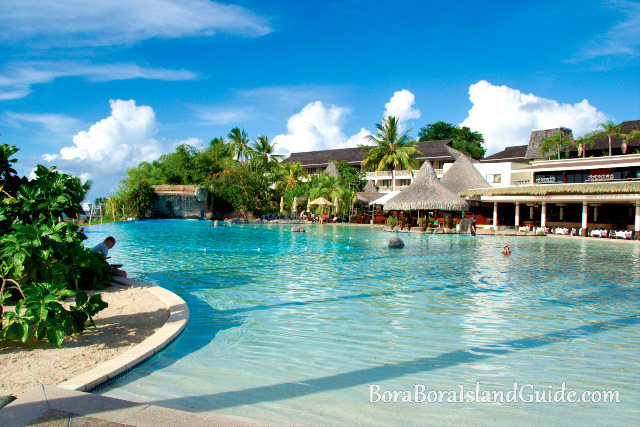 So if you are on a budget, save your over water bungalow money for one of the bungalows in Bora Bora. The Pearl Beach Tahiti was formerly known as the Radisson resort. We have stayed here a number of times when stopping in Tahiti on the way to Bora Bora. This resort is set on a black sand beach and features a spectacular pool that is often featured in tempting Tahiti photos. The rooms all look over the pool and beach, so the views are spectacular. The Intercontinental Tahiti is set on grand, florid grounds next to the lagoon. If you are wanting to laze around your resort, would be the best choice for you. It features a large pool and lagoonarium, water equipment available on it's beach, and gardens to relax around. There are a number of room styles to choose from, ranging from over water bungalows to classic rooms with garden views. 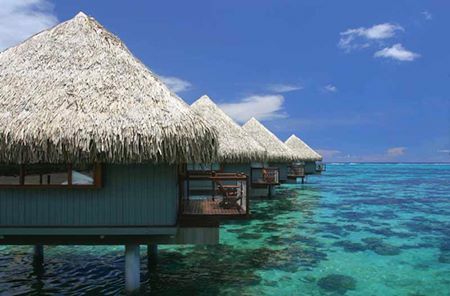 Le Meridien is the other resort on Tahiti with over water bungalows. It is on the white sand, eastern coast of Tahiti, further away from Papeete than the other Tahit resorts. It is set in pretty tropical gardens with a pool in the center of the resort leading to the white sand beach. You can snorkel around the bungalows and off of the beach. It does not compare to the snorkeling in Bora Bora through!